Meet Me in Portland, Oregon, Sunday Dec 18th, 2016 11AM-5PM, for a LIVE Intensive to Radically Improve Your Children's Book Writing or Illustration Skills and Marketability!!! This strictly size-limited workshop includes the rare opportunity to work live in both small supportive groups and individually in one-on-one face-to-face critiques with Dr. Mira. We'll be focusing on the core constructs for fabulous writing and illustration including character, setting, voice, and plot for picture books, chapter books, middle grade, and graphic novels! Wahooo!!! And if you're up for making it a fabulous vacation here's a link to some great airbnb accommodations and my wee affiliate code ﻿﻿www.airbnb.com/c/mreisberg?s=8﻿﻿ that comes with a $25.00 credit if you're a first time user. 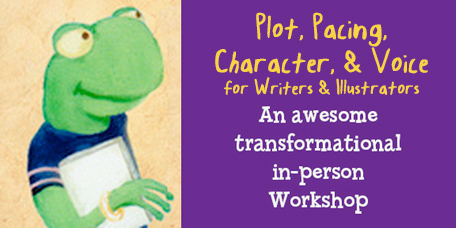 In Radically Improving Your Writing or Illustration, we will study character development, plot principles, language, and how to bring it all together for Picture Books, Chapter Books, or Middle Grade or Graphic Novels. If you don’t have a manuscript, Mira will help you come up with the perfect story idea to help you get started. If you are working on your portfolio or a dummy, bring your art, a pad of tracing paper, and a sketch book with pencil and eraser for a creative adventure. Don’t miss out on this rare opportunity to attend a live workshop with Dr. Mira, Director of the Children's Book Academy and teacher to many now published students.